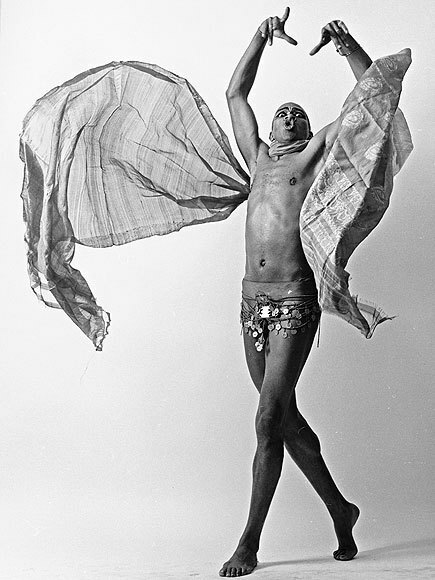 Dancer Geoffrey Holder's last words were true to his life as a dancer. These words were spoken by choreographer and dancer Geoffrey Holder's as he took his last breaths. Typical of words at the threshold, they were true to the life story of the speaker. Hospice worker and health-care providers I spoke with told me that the language of their dying patients is highly metaphoric. * In our final days, we often use the symbols and metaphors that have been important to us throughout our lives, such as the parting words of dancer Geoffrey Holder. My dad had been a roofing contractor and carpenter during his life. At my father’s bedside, when he was dying, he would awaken and look over at me and smile so big…and he told me they had ‘all these kitchenettes over there!’…there were miles and miles of them, and he would be helping to build them. He certainly was having an amazing time during his passing away, judging from the smile and excited look on his face when he would wake up. Doug C. Smith shares in his book Caregiving how a local magician he cared for told him that he was going to perform his best trick yet. “Watch me disappear, Doug. Come closer, a little closer…” And just as Doug was almost face to face with the illusionist, the elder took his last breath and died. My father spoke about a big art exhibition, and many Final Words Project participants shared end- of-life metaphors that announced the coming of a big event. Here are a few examples of metaphors related to travel. --"The suitcase is packed. I have to go." --"The car is packed. Where are the keys?" --"Jetta. I need to get to my Jetta." --"You hear that plane going over? Is that coming okay? That is the coming of day." --"The yellow bus is coming! It's filled with angels!" --"Do you think the rain is coming?" Linguist George Lakoff has identified that one of the central metaphors we use in American English is the mind or body is a machine, so it is not surprising then that a common metaphor that emerges in the data refers to things breaking down. “I need maintenance for this.” “Everything in pieces… so many pieces…” “I got to put this all back together.” “I need to put things in order.” There are also a lot of references to shapes, particularly circles and boxes. In the accounts of the dying, many “long to be there,” and the journey of “arriving peacefully” is revealed in remarkable language. Honoring the symbols of those we love and care for allows us to both enter and better understand their world at the threshold. The meanings behind the symbols may not always be clear, but we can begin by listening with finely tuned ears and open hearts--and if nothing else, embrace the metaphors and even use them when we can to build bridges with those we love as they are dying. **This observation is also documented by Maggie Callanan and Patricia Kelly in their beautiful book Final Gifts.